Each pod is made up of two steel frame sections, which can be attached to a wall at two points each. These would then hold the pod in place as well as together. 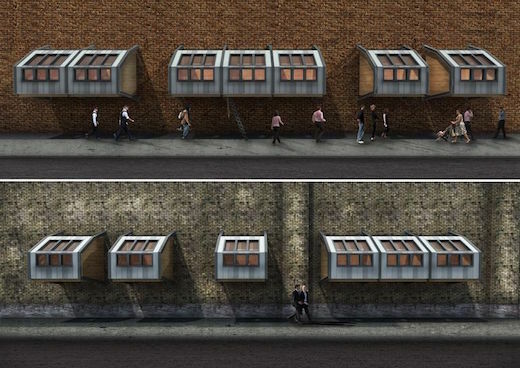 The pods would be installed high enough on the buildings so as not to disturb the pedestrian traffic. Ladders would be used to provide access. 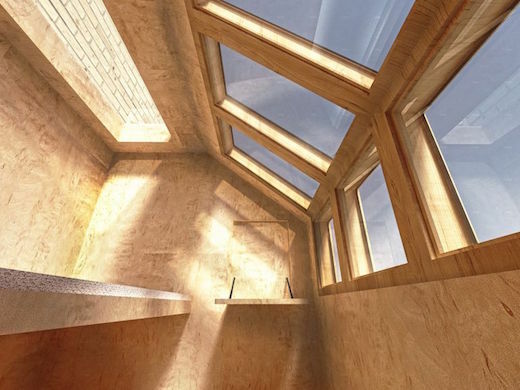 The pods would have large windows, which would allow for temperature regulation, as well as offer a fire escape route. 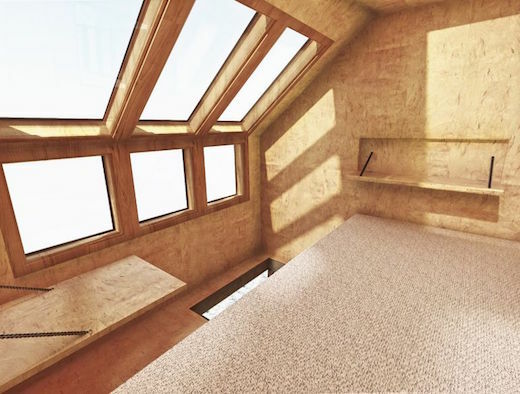 There are a number of materials that could be used for the construction of the pods, though the designers suggest they be built using insulated floor and wall paneling with zinc cladding. 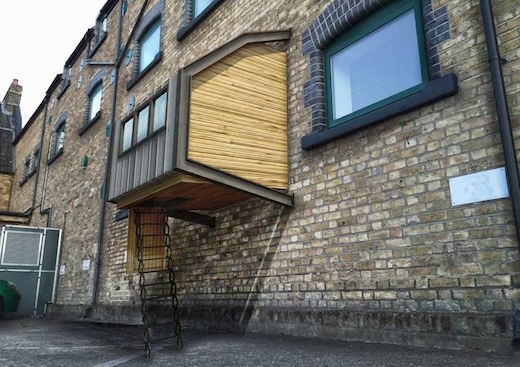 The pods would have no toilet facilities, since they are meant first and foremost as a temporary shelter, keeping the homeless safe from the elements, and from crime. 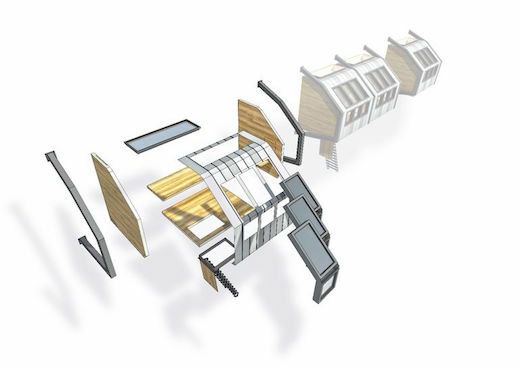 The pods are designed so as to be easy and quick to construct, and they can be attached to any wall. The designers propose that the pods be monitored daily and maintained at need. There would be rules of usage announced in a prominent place, and care would need to be taken to retract the ladders and make sure no objects could fall onto the street and potentially harm the pedestrians below. Once the designs have been finalized, they hope to propose the idea to local charities, which would donate the pods to an area and take on the responsibility of maintaining them, as well as managing their availability. Since the pods are stand alone and modular they can be constructed individually or as part of a larger community. On its own, the cost of the steel structure would almost equal the cost of an entire basic home based on a used container. Also, the illustration shows it attached to a brick façade; care to explain how that’s accomplished without serious structural changes to the building? Of the half dozen “hanging pod” ideas I’ve seen over the years, this is probably the most unlikely. I suggest the architect demonstrate the glory of this concept on the side of the building he’s living in.